As many of you already know, in 2013 I lost of great deal of weight. While I have been doing pretty well maintaining it I had basically cast my diet aside over the holidays, so I put some back on. I want to take those 10 or so pounds back off, and hopefully even take off a few more. While I will be starting back up with a formal diet, I have another secret weapon in my arsenal that will not only help me as I go forward, but that I am certain has helped me not pack on more pounds during my indulgence period. Organic Matcha Green Tea Powder from Kiss Me Organics is amazing. Not only does it provide energy, which was invaluable in keeping me going during the holidays, but it increases focus, which I always need as a busy mom. I has 137 times the antioxidants of green tea (which is already a great source of antioxidants). It even improves skin health, which is a total asset to me these days. Of course what I love the most about this incredible miracle powder is that it boosts metabolism. I know it must work wonders on that, because I was consuming anything I wanted regardless of fat or calories and I really did not gain anything near what I expected to, especially going from such a reduced calorie diet. Normally a drastic change like that would pack on tons of weight. I am excited to see how this metabolism booster will help me while I am dieting as well. I bet it will be pretty incredible. Of course, there are many products on the market to aid in weight loss, but what makes this Matcha powder so special, is that is not really what it is for. While that is one amazing perk of drinking it, it is more of an overall better health product, so it naturally helps increase metabolism but has not unwanted side effects. I never felt jittery, overstimulated, dizzy, or any of the other horrid symptoms that wight loss supplements cause. Best of all, this Organic Matcha Green Tea Powder is also delicious. It can be used alone as tea or be combined with almost any food, and even baked into recipes or added to smoothies. There are countless ways to incorporate Matcha into your everyday life. When you purchase this Matcha Powder form Kiss Me Organics, you also get a recipe Guide that gives you tons of amazing ways to try your Green Tea Powder. There are so many recipes in there that I am dying to try. It is actually sad that I have not tried them already since I am at the very end of my SECOND bag(and a bag has well over 20 servings. I have not tried any of the recipes because I found a delicious and simple way to enjoy it that I have stuck with every day (several times a day). 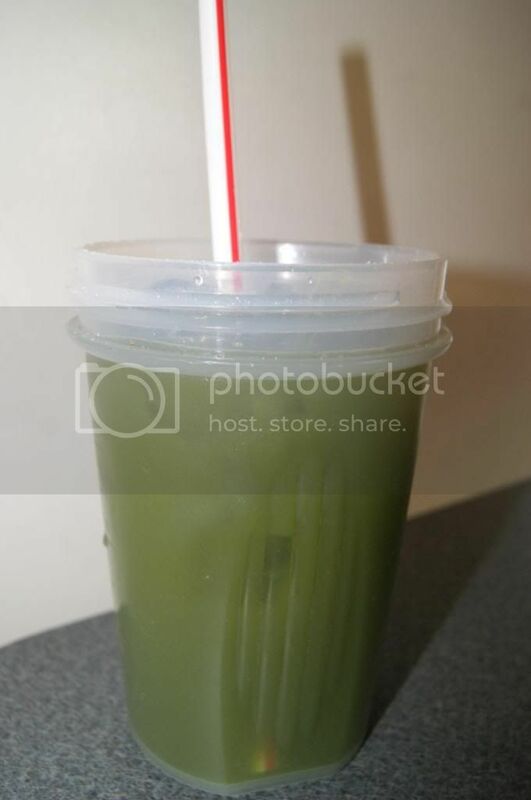 All it is is a scant teaspoon of the Matcha Poweder in about 6oz of hot water, sugar substitute to taste (I use granulated sucralose), about 3oz of orange juice and ice(to fill a 16oz cup). It is so delicious, sweet and citrusy. It is very refreshing and energizing. I drink these probably 3 times or more a day. The recommended serving size is only 1/2 to 1 teaspoon a day though, and that would still be great for 1 drink or smoothie, etc. I just can't get enough. 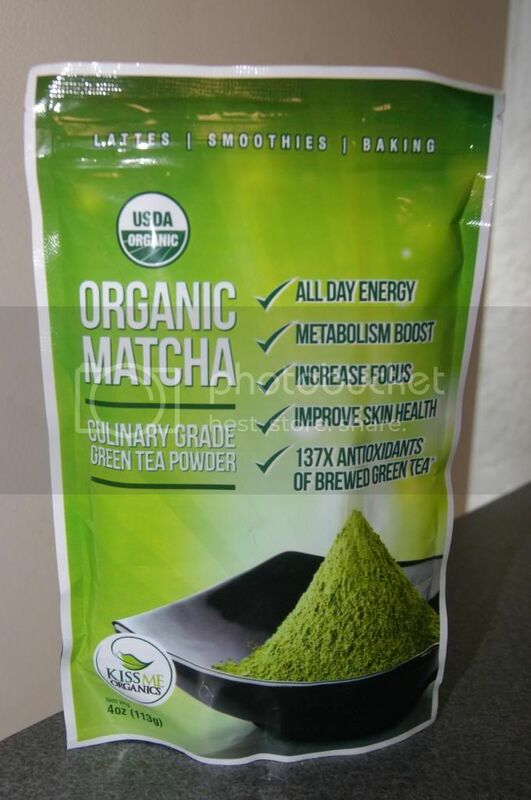 If you are looking for a metabolism boost, a easy way to get antioxidants, an energy or focus boost or just a delicious and unique beverage, then I highly recommend Organic Matcha Green Tea Powder form Kiss Me Organics. This stuff is truly amazing. I have http://www.tea-and-coffee.com/matchapow and can you explain me the difference between these teas ? I don't know how to use it, it's left after my wife.